Thanksgiving is all about traditions, so why not start a little FWx tradition of our own and check back in with artist Hannah Rothstein? This year, Rothstein is back with a new set of artists and a new set of plates. 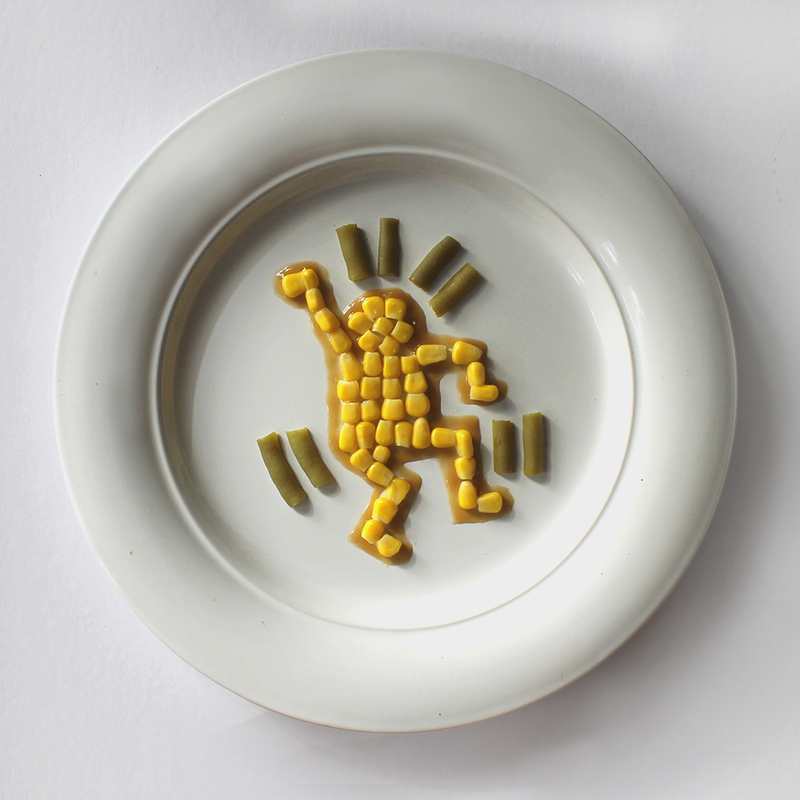 Keith Haring, Joan Miro, Damien Hirst, Gustav Klimt, Salvador Dali, Christo and Jean-Claude, Georgia O’Keefe, Jean-Michel Basquiat, Man Ray and Kara Walker all get the Thanksgiving dinner treatment this time around. You may not necessarily want to eat what’s on the plates, but they’re so well-conceived you might actually learn a little something about art. You can buy prints from her Thanksgiving Special Seconds on her website; a more affordable choice than buying an actual Salvador Dali. In the meantime, check out some of her work below.